I’m at it again… my quarterly attempt to “try cooking up some fun recipes”. I consider it a personal challenge. And an attempt to overcome my lack of confidence in the kitchen. Finding recipes that utilize ingredients that I already have on hand. Finding tasty recipes that are quick & easy to make. For now, my primary goal is to remove the intimidation factor by simply making recipes that adapt to my pantry (…rather than making my pantry adapt to the recipes). This time, I definitely won’t be stocking up on all of the possible ingredients that I think I might want to include in a dish… some time… in the near future… before I get tired of cooking again. In fact, the point of this article is to share a handful of fun websites I found that let you type in the ingredients you already have on hand. After a simple search, you get a complete list of recipes that include the ingredients you entered. It’s as simple as that! Yes, I could obviously make tacos or some other Mexican dish rather easily. But that’s not exactly what I was after. I was mostly looking for other ways to use up those ingredients (mostly the sour cream and cream cheese) before they went bad. #1 – SuperCook – A recipe search engine that utilizes the ingredients you already have on hand. It creates the “recipe card” right before your very eyes as you enter ingredients. It has a great, very modern interface. Fun to use! It found 6 recipes with ALL of the above ingredients plus 2,000 other recipes that would only require one or two additional ingredients. Bonus: It’s a cinch to see all of the additional ingredients that could yield even more recipes. Just add them one-by-one to your list of ingredients in order to increase the number of recipes found. And… you can even choose a specific category to narrow down the choices to say, Dinner recipes, instead of seeing a lot of recipes for Dips & Sauces. #2 – Recipe Finder – A recipe database hosted by the U.S. Dept of Agriculture, the recipes found here are provided by professionals working in nutrition and health organizations. So the recipes are probably healthier than on most recipe sites, and fewer in number as well. One unusual feature is you can build a cookbook yourself using their recipes. Unfortunately, you can only search 1 ingredient at a time. It found 11 recipes with the “sour cream” ingredient and 13 recipes with the “cream cheese” ingredient. #3 – Cookin With Google – This is a customized search engine that is just like the “regular” Google search engine, but this one only searches popular recipe-related sites. Type in your ingredients by putting 2-word ingredients in quotes and including a space between items (not a comma). The only downside is the results are provided in a non-friendly “search engine” kind of way… and that means you often get more lists of recipes rather than landing on an actual recipe. On the good side… you can fine-tune your results by choosing one of the following: vegan, world, atkins, seafood, diabetic, crockpot, weight watchers, gluten-free, low-fat, or vegetarian. It found 100 recipes with the above ingredients. It’s no frills, that’s for sure. #4 – Recipe Matcher – Type in the ingredients you’ve got (or check them off the ePantry list), and you’ll see a long list of recipes which include at least ONE of those ingredients. It also lists those ingredients you still need to make that particular recipe. It sorts the results by percentage of your ingredients each recipe actually has. You can add recipes to “your favorites” at this site, print out the ingredients you still need, or print the entire recipe. It found 165 recipes with the above ingredients. It looks dynamic and modern, but it’s a little clunky the first few times you use it. #5 – All Recipes Ingredient Search – To search by ingredients, simply leave the big search box empty, type in your ingredients, then click the magnifier/search button. I like how you can exclude ingredients. For example, you get a lot of lobster recipes in the results… simply ask it to exclude “lobster” but still include the other ingredients you previously listed. Or, you could just search for a particular “type” of dish, rather than searching ALL recipes. It found 19 recipes with the above ingredients. However, most required a number of additional ingredients as well. 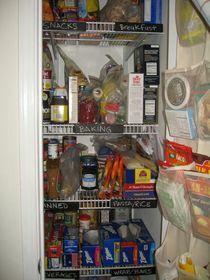 #6 – My Fridge Food – For the most inclusive list of ingredients, click “show all ingredients” first (instead of using the “quick ingredients list”, which is the default). Then, use CTL+F to search for your ingredients, one by one, and put a check mark next to each one. After clicking on “get recipes”, you can further filter down by type of diet, number of calories, or category. It found 12 recipes with the above ingredients. The best part: you can see right away — before clicking on a recipe — which ingredients you’re missing in order to complete each recipe. #7 – Food Pair – At this time, Food Pair searches 20 different major recipe databases with a total of more than 1 million recipes. While it appears that you can only search by one single ingredient, this is not the case. Simply hit enter after typing in each ingredient, and your ingredients list will appear. There are also a number of other helpful filtering options that make this recipe database useful. In addition to the sheer number of recipes searched, you also have the option to narrow your search by course, type of diet, and number of ingredients (like “less than 5”). It found 1,566 recipes with the above ingredients. When I narrowed the search by “main dishes,” the results yielded 153 recipes. 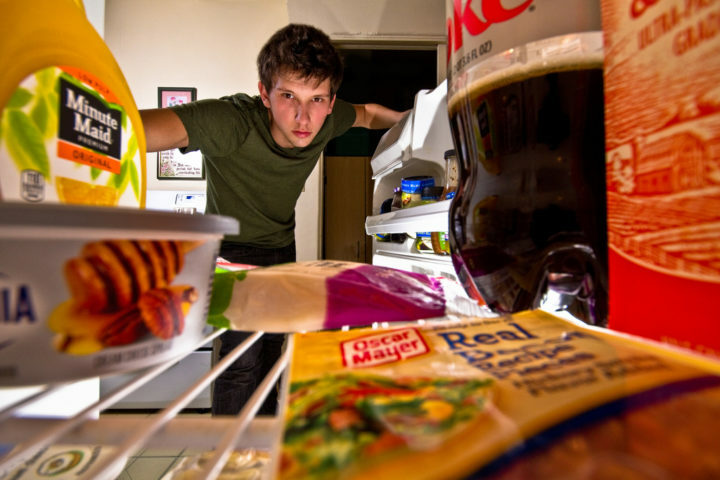 #8 – Leftover Wizard – Search 300,000+ recipes at once using the BigOven recipe database. This one is kind of fun, because it seems more interactive than most. As you input each ingredient, the # of recipes available to you automatically changes — as do the photos of the ingredients you just entered. It found 107 recipes with the above ingredients. From there, you can click the “refine or sort” button to narrow down the recipes by lots of useful factors! UPDATE: While I was initially using the above recipe databases to find recipes based on ingredients, over time I have gone back to these recipe sites again and again even when I don’t have specific ingredients in mind. Yep, with the multitude of searchable recipe databases out there, these are the ones that constantly go to — whether I’m searching by ingredients or not. The reason? Some of them (like Food Pair and Supercook — my personal favorites) search several of the popular recipe sites for you! That’s super helpful and saves me from having to search through the recipe websites one-by-one. And finally, don’t forget about your dog! Here are dozens of homemade dog treats to make using ingredients you already have in your pantry. Want more? Check out my growing collection of homemade dog treat recipes on Pinterest. These are almost always made with items that most people usually have on hand.